Dripping with sensuality, XamVolo's first music video makes a strong visual statement that perfectly complements his punchy yet chilled single, not to mention the extra attention it'll bring to his unique sound with a newly recruited YouTube audience in tow. Having received Radio 1 airtime from the likes Annie Mac, Huw Stephens, and Phil Taggart, new Decca signing XamVolo seems set for big things. At only 21, the Liverpool-based Londoner already exudes a sumptuous Michelin-star, genre-bending sound which is far more mature in its scope than his tender years would suggest. ‘Down’ is a melting-pot of well-balanced ideas. As the crackly blues-tinged choral intro establishes itself, you think you’re in one realm, but just as quickly he throws you into a new one when the verse hits. The video’s sudden shift from black and white silent film to technicolor psychedelia complements the change splendidly. 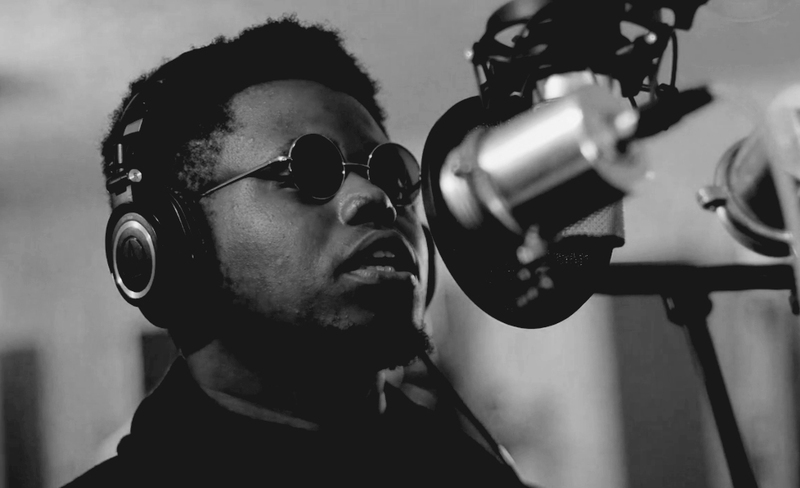 R&B is our new domain here, with rich jazz harmonies filtering through swanky neo-soul production over which XamVolo’s smooth voice effortlessly glides. A twinkle of hotel-lounge piano later and we’re hit full-force by the chorus. While he croons away at the words “Yes, yes / I hope I say it next time,” the orgasmically orchestrated chords glowing underneath him suggest their own interpretation of the phrase. And so ‘Down’ continues, dipping and diving into any and every stylistic niche imaginable. He even scats! After the first chorus, the video steps up a gear, presenting us with a decadent romantic narrative inter-cut with the beautifully abstract silhouettes that we just can’t get enough of. By the time the luscious piano solo hits, we’ve been truly thrust into visual overdrive: flaming flowers and Venetian masks (hinting at the reveries of yestereve? ); kaleidoscopic effects; slo-mo guitar-strums and drum-thumps; the silent film aesthetic; and our old friend the silhouette. It’s all there, headily cut together with increasing rapidity and leaving us stunned – nay, speechless – at the song’s close. It’s gorgeous stuff, oozing a coy yet brazen sexuality at every turn.